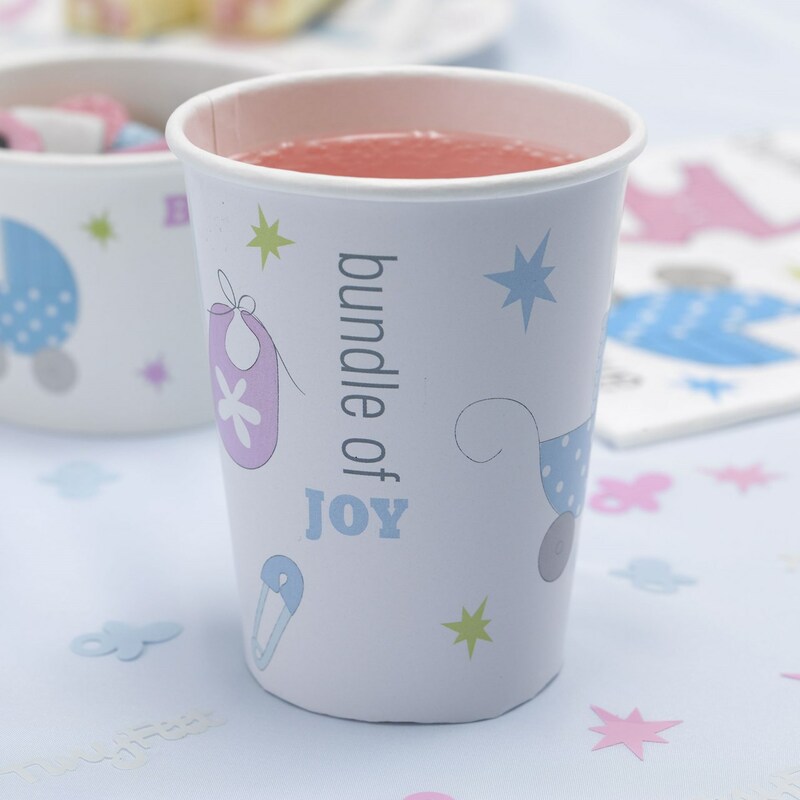 DescriptionGorgeous party essentials – the Tiny Feet paper cups are the perfect accessory for your christening, naming ceremony or baby shower. Complementing the paper plates, bowls and napkins in the Tiny Feet range. Each pack contains 8 Paper Cups. Gorgeous party essentials – the Tiny Feet paper cups are the perfect accessory for your christening, naming ceremony or baby shower. Complementing the paper plates, bowls and napkins in the Tiny Feet range. Each pack contains 8 Paper Cups.